Behind the magical spotlight and incredible acts put on by elephants and tigers in circuses around the world, lies a hurt and damaged animal. Abuse has long been an issue in circuses, but now it finally seems to have caught public attention and today more and more countries have banned the practice. Animal circuses could be on their way out. When the excited families get seated in the circus tents, they are often tricked into thinking that the circus trainers just have that magic touch that makes elephants stand on two feet and tigers jump into rings of fire, but this isn't the case. Making a wild animal behave in such a way takes hard work and brute force. Although it can be difficult to grasp what's really going on behind the scenes, circus animals are not enjoying their job as much as the circus princess. They were never really given a choice. 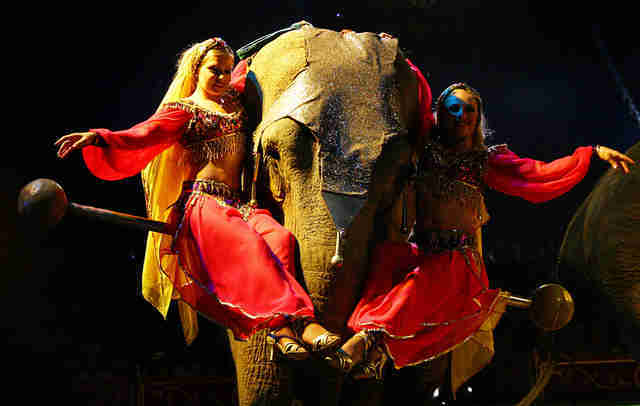 The same can also be said for other types of animal attractions such as riding elephants. It simply isn't in their nature, so don't be fooled. Even though it might be funny or cute seeing an elephant dressed up or a chimp smoking a fake cigar, it has taken humans years of force to train them to such acts. Lucky enough the magic seems to have worn off and people are no longer buying the illusion. Bolivia is the first country in the world to ban the use of any kind of animal in circuses, wild or domesticated. This was also the country to pass a controversial law protecting Mother Nature from human damage. 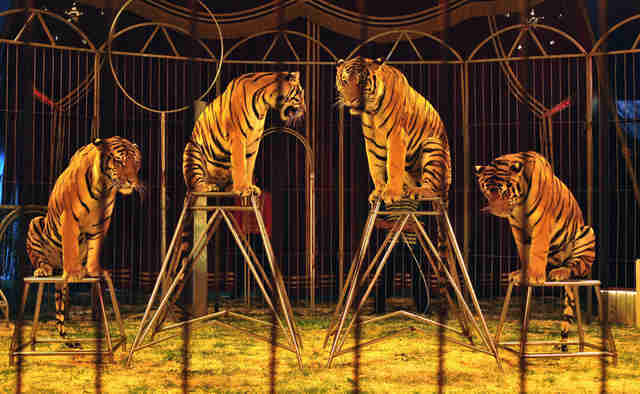 Many other places have banned the use of wild animals in performances. Not just Bolivia. Mexico recently signed a bill banning the use of animals in circuses that will now be required to make a list of their animals and make them available to zoos and sanctuaries. Guatemala City has also banned it and it generally seems to be the way things are going, with Malta and other European countries signing new laws. However, some countries have yet to join their ranks. What's the next stop for freed circus animals? After a life in the spotlight, what is in store for the world's captive performing animals? Where do they go? Well, great animal care is certainly needed. 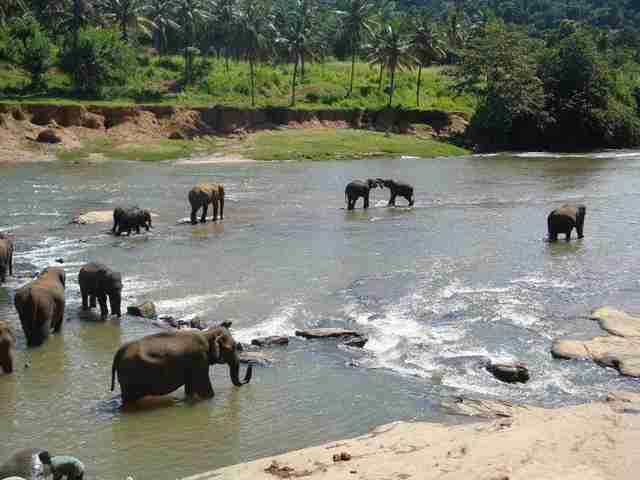 Many animal sanctuaries specialize in taking care of specific type of animals such as elephants or tigers. These places generally offer them time to get used to a freer lifestyle and for the first time former circus elephants get the opportunity to fully socialize with a herd. This is vital to an elephant's emotional health. They also need lots of space. Former circus animals such as the elephant Shirley are today enjoying socializing with a herd without being confined into a small space, alone and lonely. It's important to remember that elephants are highly sociable beings, so being with a herd is important to them. So it's no surprise that Shirley and other former circus elephants are better off in a good sanctuary, or even better, in the wild. How can you help? Say no to any circus using animals in their performances and help raise public awareness. 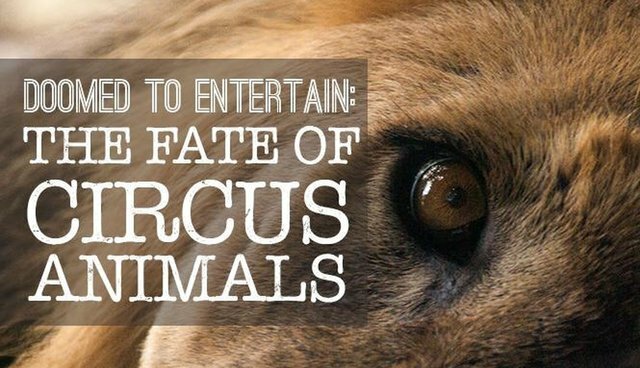 Even though it might be surprising to some, many people simply don't realize what's behind the animal acts they see in circuses. If you are serious about animal welfare and care, you could also volunteer in an elephant sanctuary in Thailand or India. The elephants coming to these sanctuaries have many different background stories, some of them have been used in performances others have been injured. Help bringing joy back to their lives and make a positive contribution!